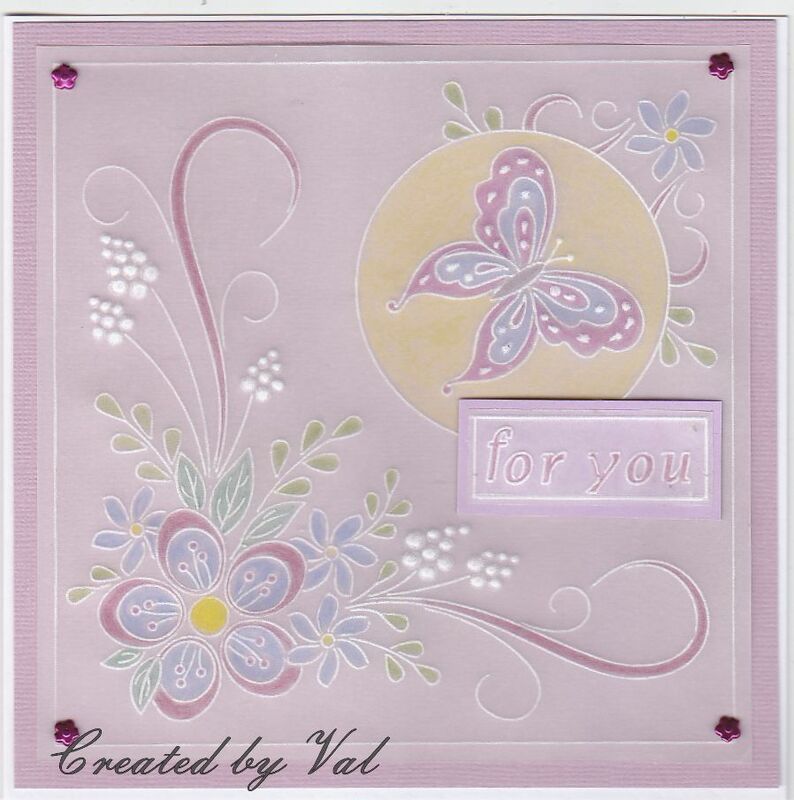 Another beautiful parchment card Val, I love the colours and the butterfly and flowers. Such a delicate and beautiful design!! I made a parchment card years ago...your creations are so inspiring!! This is beautiful. I love the delicate lines and colours. Did you miss the winners on #83! Thank you for fluttering into the butterfly garden again with this lovely card. Thanks for your lovely comments as always. I did email you with my address when I spotted the winner names for #83 but maybe it went astray. Have sent you another email today and look forward to receiving my prize. What a great card, Val! It is so pretty! I love the colours and the beautiful butterfly! Kisses, my friend. This is just stunning and I have yet to learn about using parchment and I'm clueless about the Groovi system, but I like this pretty card!